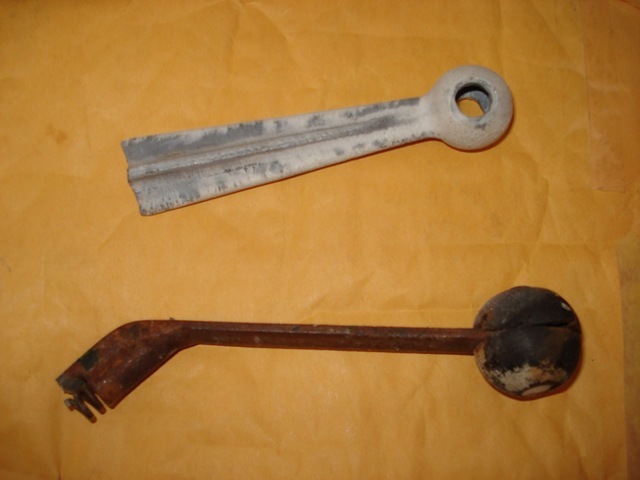 We recently received souvenirs from DC-3 wreck that one of the rangers sent us. I had asked if he could send us something after his recent visit to the wreck this summer. 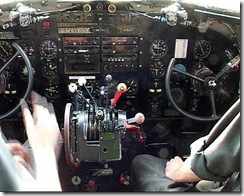 The parts are from the cockpit, I recognized them immediately as throttle and mixture controls. Having flown with my Grandfather when I was a kid, I remember seeing these controls on other planes such as Beaver (CF-OCB) he flew for Georgian Bay Airways. If you look at the middle console of levers, I have the two from the left side (White in color). I’m surprised these parts remained since I thought the whole console was salvaged.